On today’s show, we blow smoke up our own asses as we celebrate hitting our 100th episode! While today’s word, “unicorn”, takes back-seat to a game of “Who Said That?”, we have fun reminiscing over past clips from the show including our favourite ridiculous quotes from Mat, Dan, Andrew, Mélissa, Fish, Breanne, and Mitch, as well as a few special guests that have helped us reach this magnificent milestone. Thanks for everything, everyone! Here’s to the next 100! Also, Mat has no idea that unicorns are mythical creatures. Next week’s word is “parking”! Get your questions to us by leaving a comment below, calling in to the voicemail line at 1-844-OWG-SHOW (1-844-694-7469), or post in our Facebook group! The song at the end of today’s show is called The Unicorn Song by The Irish Rovers! On today’s show, Mat finds his car at Maboob’s, Dan pays for ad space on his own show, Andrew puts two Japanese people in a room and watches them, Melissa waits at the window for packages. The song at the end of today’s show is called I Hold No Grudge by Nina Simone! Special thanks to Reddit user /u/Omegatoko for his voicework in the intro! 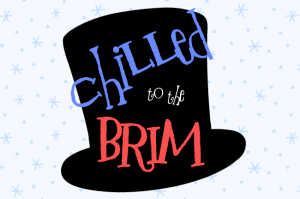 Don’t forget to check out our 2015 Christmas special, Chilled to the Brim, by clicking here!